Black bird singing in the dead of night? Nope! They are stopping by mid day to visit the bird feeders. We don’t see them too often during the summer months, so I think it’s not uncommon to see them right now in early Spring. I’m sure they will move on. They don’t really bother the other birds but since they are larger and there is usually 3 or 4 of them and they move swiftly, the other birds do seem to avoid them. 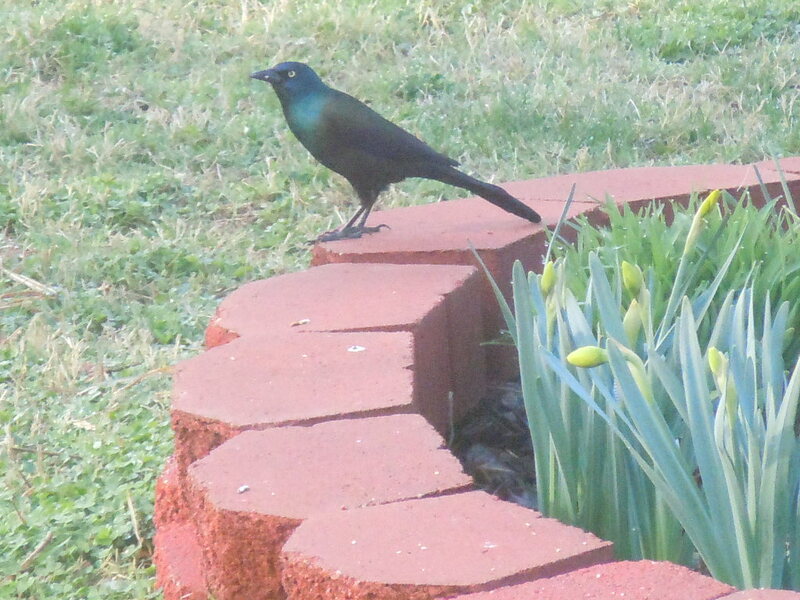 But we have already seen robins, cardinals, and sparrows coming around. I think some sparrows migrate and some don’t. We always see more of them deep into summer. 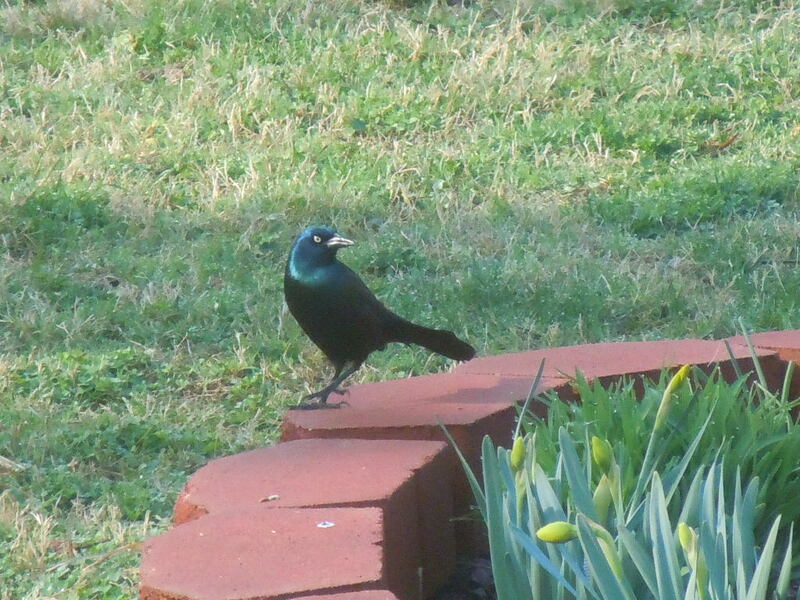 But for now, the shiny black bird is a welcome visitor. Click on each photo to see a larger version.